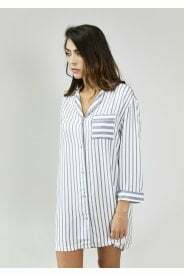 The Pretty You London Stripe Collection is Pretty You London's take on a much-loved classic print. 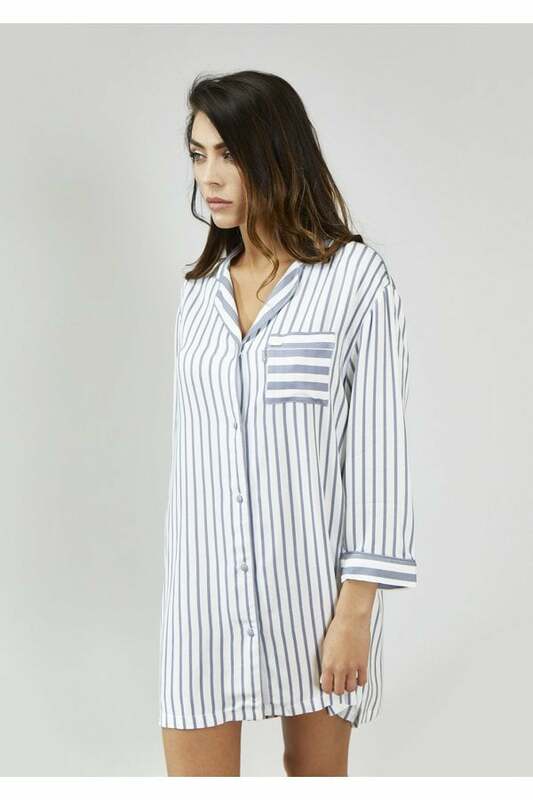 Lounge in luxury and sleep in peace in the softest nightshirt, featuring contrast stripe cuffs and pocket, covered button through centre and relaxed collar, finished with our signature PY metal decal and tab detail. Our model is 5' 7.5" tall, 34" bust, 26" waist and 36" hips. She wears a size 8 UK.